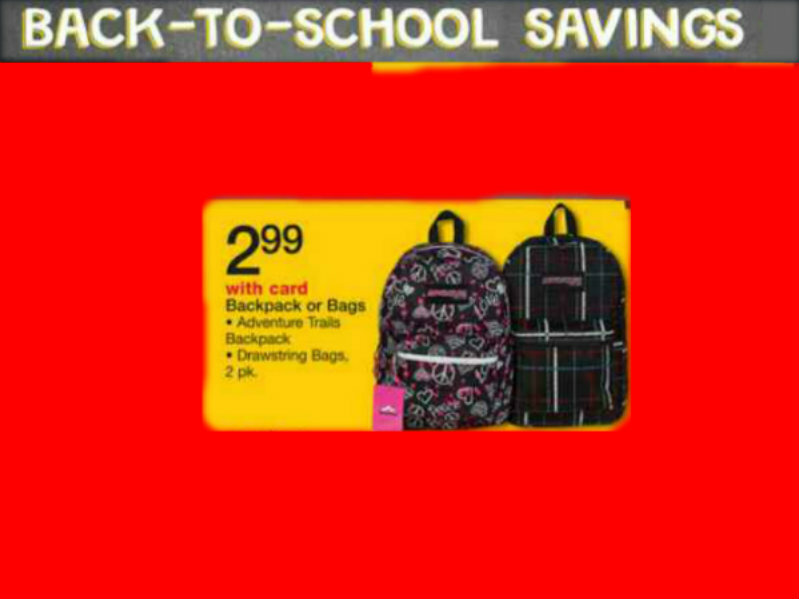 Backpacks or Draw String Bags $2.99 at Walgreens 7/21. Starting Sunday 7/21 Backpacks and Draw String Bags 2pk. Are just $2.99 with your Walgreens Card. Make sure to get there bright and early to get yours before they are all gone. If you dont have a Walgreens Card you can get one while you are there.